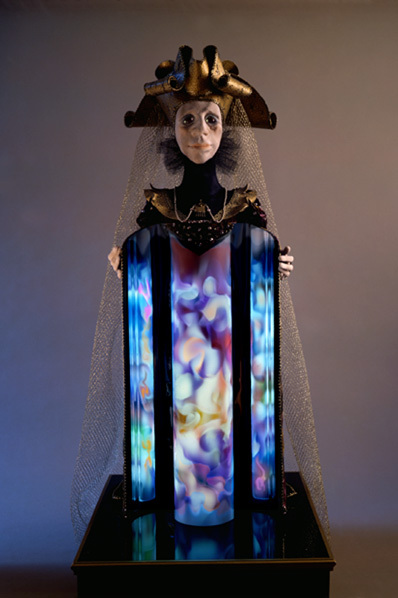 "Light Sculpture by Ellen Rixford"
Lady of the Inner Light: The mechanics on this sculpture slowly open the "doors" of the lady's body, to reveal an ever-changing cylindrical light sculpture, which is reflected, triptych-like, by the mirrored doors of her body. 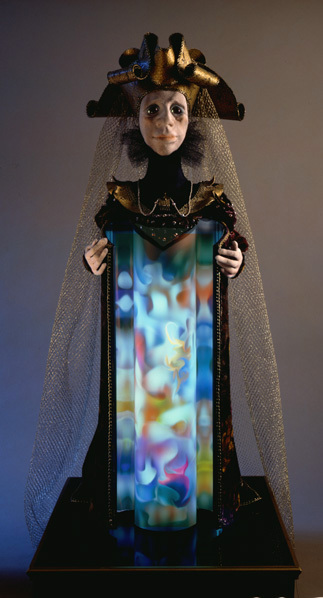 She stands approximately 40" tall, and is a multimedia piece. 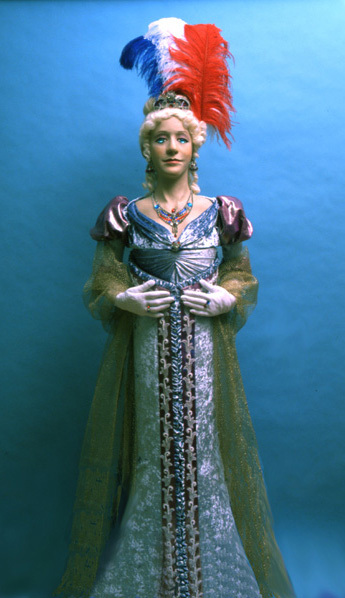 Snow Queen: Top, with face closed, bottom, with mask open. 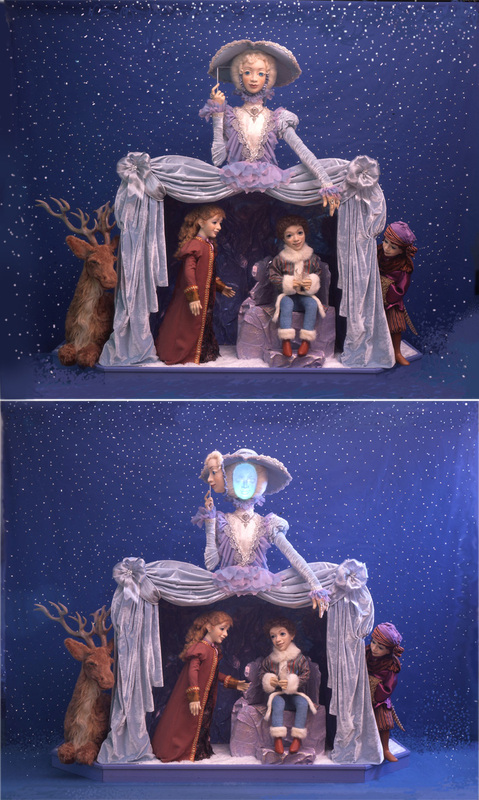 This mechanical light sculpture display, inspired by Hans Christian Andersen's story, adds a feature he did not dream of. 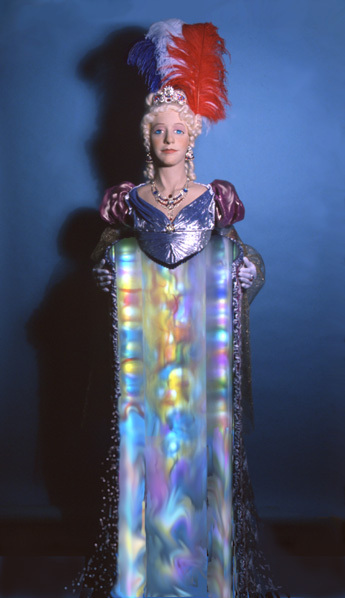 The Aurora Borealis is playing inside the head of the Queen, and is revealed when she removes her mask. Inside her theater-like gown, Gerda has at last found her lost playmate, little Kay, kidnapped by the Snow Queen and carried off to the North Pole. Gerda's friends, The Little Robber Girl and the Reindeer, look on. Figures multimedia and life size. 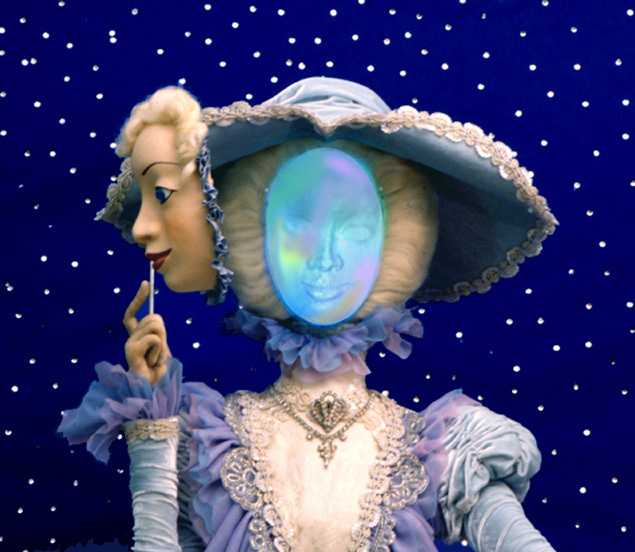 Left, Snow Queen close-up, showing the light sculpture inside her head. 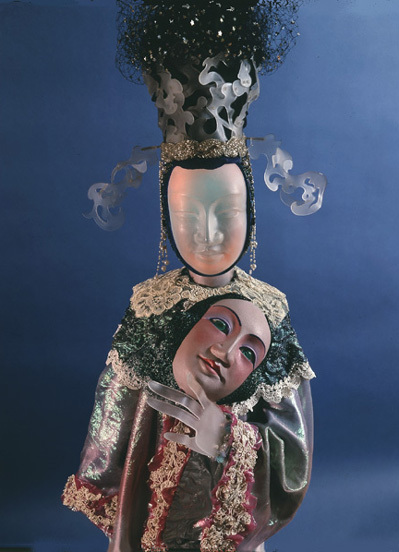 Right, compare with the life size Burnraku style puppet, the Queen of Heaven who has a similar kind of light sculpture, in this case worked by the puppeteer moving hand controls. 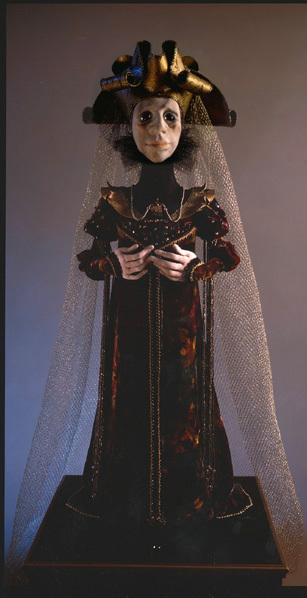 Fairy Queen: 7' tall lady who opens (and closes) her gown to reveal an ever changing light sculpture inside her body. 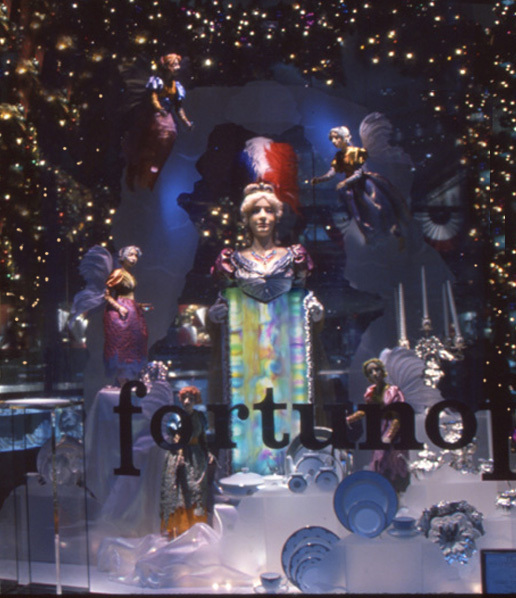 Picture at right shows this sculpture as part of a Holiday Window display for Fortunoff; the lady is being offered gifts by 5 fairies fluttering around her. Mechanic for this piece was based on the idea for the Lady of the Inner Light, above.